Government Relations — More important than ever! Though legislation and regulation, the government’s role in the new car and truck business continues to grow and so the stakes are rising. Together, dealers must continue to play a more active role in government. The best way to do that is to build relationships with local state legislators and educate them on our industry. 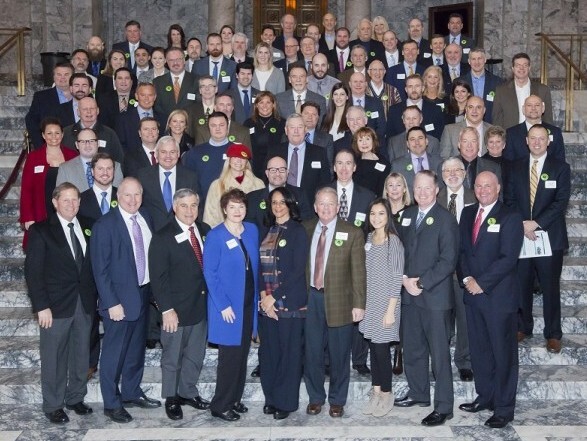 In addition to the leadership of the Board of Directors and Executive Committee, WSADA has a standing Government Relations Committee of dealers tasked with staying informed on legislative issues in Olympia and using their experience to help advise the Association on its legislative priorities. If you are interested in serving on the Government Relations Committee or have any questions, please contact GovernmentRelations@wsada.org. WSAD PAC, the Political Action Committee for Washington’s new car and truck dealers, supports pro-business, pro-dealer candidates. The WSAD PAC helps shape the political landscape, and supports incumbents who have demonstrated knowledge of, or desire to learn about, the legislative and regulatory impact on the retail auto business. The PAC has supported candidates who are fair, thoughtful and available for meetings and discussions about our issues. Because creating, developing and maintaining a reasonable legislative and regulatory environment for the sale, maintenance, and finance of vehicles is not a partisan issue, the WSAD PAC supports both Republicans and Democrats.